Gallery tours by appointment only. '"The River that Runs Two Ways" - a Meditation' celebrates the earth through photographs and poems about the Hudson River. First published in 2000 through Brighton Press by photographer Eric Lindbloom and writer Nancy Willard, this selection of work recognizes our dependency on and gratitude for the earth. Adrian Octavius Walker was born and raised in North Saint Louis and graduated from the University of Missouri-St. Louis in 2010. 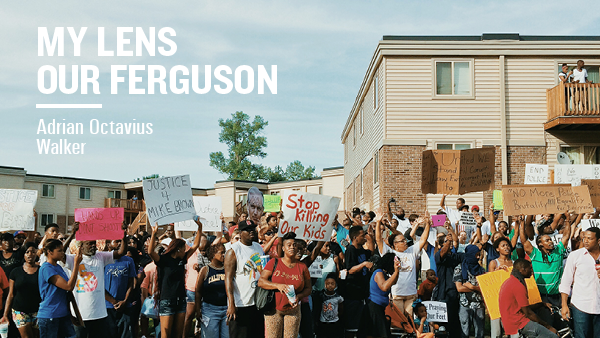 In 2015, Walker self-published the book My Lens, Our Ferguson, a documentation of the Ferguson protests the week after Michael Brown's death, which was shortlisted for a Paris Photo-Aperture First PhotoBook award. This show will display images from Walker's book. Walker hopes this show and book continue to share the story of Ferguson with future generations. I am an artist based in the San Francisco Bay Area who specializes in the intersection of art and science. I create with the intent of transforming how people view the human experience of disease, allowing room for celebration of the imperfect body. My practice emerged after I was diagnosed with Multiple Sclerosis; undergoing numerous brain scans to track the progression of my disease, I initiated a deep fascination with the architecture of the brain. I reinterpret these frightening yet mesmerizing images, using my brain scans to describe the ever- changing experience of living with a progressive disease, with the goal of expanding the visual language of illness. My diagnosis has allowed me to integrate neurotechnology into my artwork. Through printmaking, mixed media, and textiles I transform my scans into vibrant landscapes, challenging how society views illness. 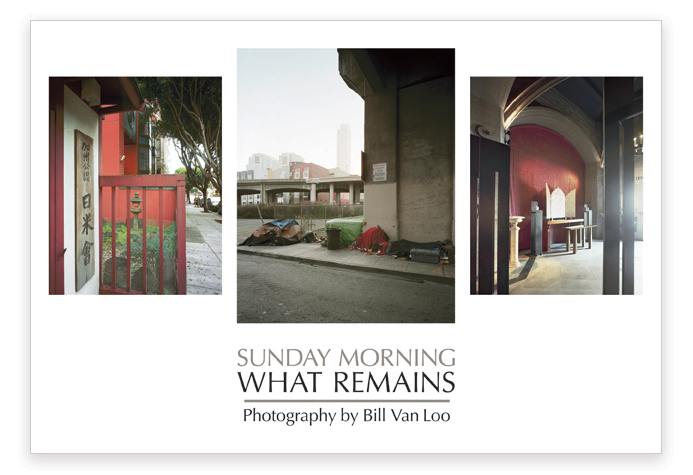 Sunday Morning — What Remains presents images by photographer Bill Van Loo that pose a question: After six days of labor, what remains? Van Loo’s process begins with discovery during early morning Sunday runs. He uses an 8"x10" view camera, and successful images are scanned from negatives and digitally printed on archival paper. All are shown as diptychs and triptychs that invite the viewer to engage with — through color, composition, and content — the contrast and comparisons of wealth and poverty. Opening: Thursday, April 10, 2014 • 6 p.m. to 7:30 p.m.
Celebration — Thursday, December 12, 6 p.m. to 7:30 p.m.
Celebración — Jueves, 12 de Diciembre, 6 p.m. to 7:30 p.m. The Rt. Rev. Marc Handley Andrus, bishop of California, and Gallery 1055 are pleased to present the work of the Rev. 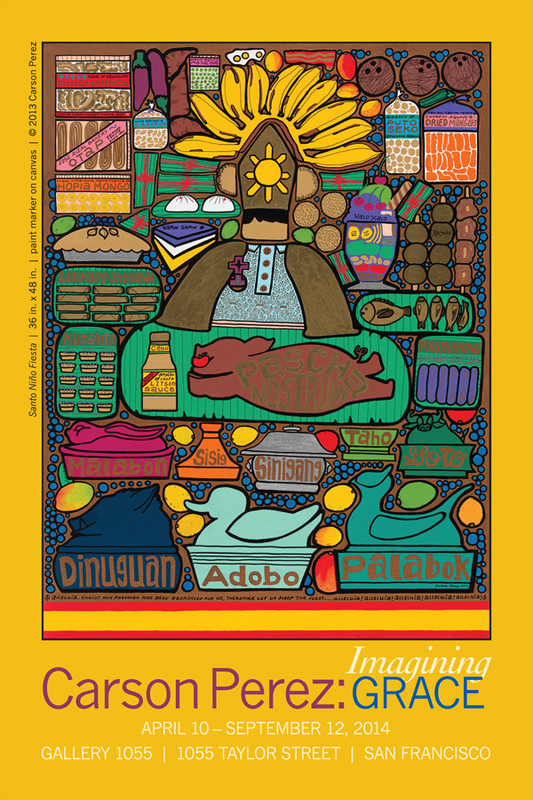 Mary Moreno Richardson and The Guadalupe Art Program. The Rev. Mary has spent many years working with victims of human trafficking, undocumented immigrants, and women and children. 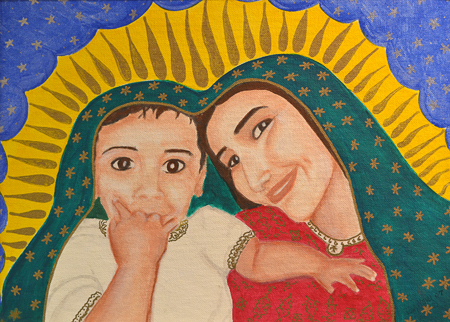 She helps them to transform and empower their experiences of violence through art and by using of the image of Our Lady of Guadalupe in self-portraiture. For further information visit theguadalupeartprogram.org and Facebook here. Click here for gallery location and hours. 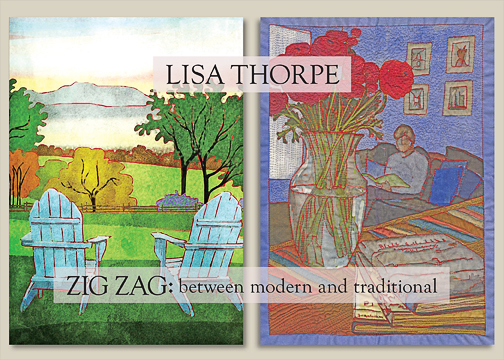 Opening reception: THURSDAY, FEBRUARY 21, 6 p.m. to 7:30 p.m.
Gallery 1055 is pleased to present recent work by The Bishop’s Ranch resident artist and teacher Lisa Thorpe (lisathorpe.com). This series represents new work Lisa has been creating on the iPad (modern). These digital drawings of the Sonoma countryside, nature, and still-life interiors are then printed on fabric and quilted (traditional). In addition, several pieces are printed on metal; a new print surface that mimics the bright and glowing quality of the iPad. 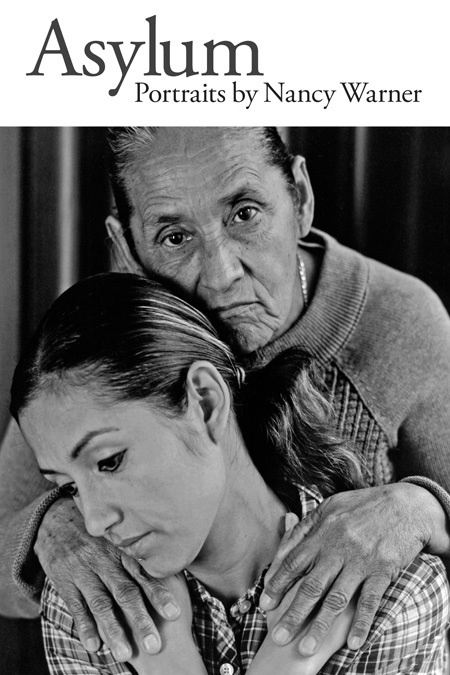 The subjects of Nancy Warner’s portraits are LGBT individuals who have sought and been granted asylum in the United States after suffering persecution in their native countries. Additional portraits can be viewed on Warner’s website here. Opening Reception: Thurs, Nov 1, 6 p.m. – 7:30 p.m.
Gallery opening/reception: Thursday, March 8, 2012, 6 p.m. – 7:30 p.m.
San Francisco, CA, February 20, 2012 — Art can sometimes do what dialogue, diplomacy, and demonstration cannot. Artists such as Matthias Grünewald, Keith Haring, and Pablo Picasso used their art to speak out against plagues, diseases, and violence that threatened the communities they inhabited. Oakland-based artist Mel Ahlborn follows their example and has chosen a few of the leading causes of death and suffering in contemporary America in her exhibit Modern Love: Intercess and Wait. 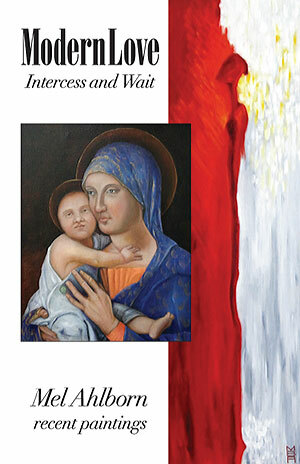 Ahlborn’s Intercess reworks six Renaissance paintings of the Madonna into visual prayers for change. Wait explores the state of grace within human suffering. 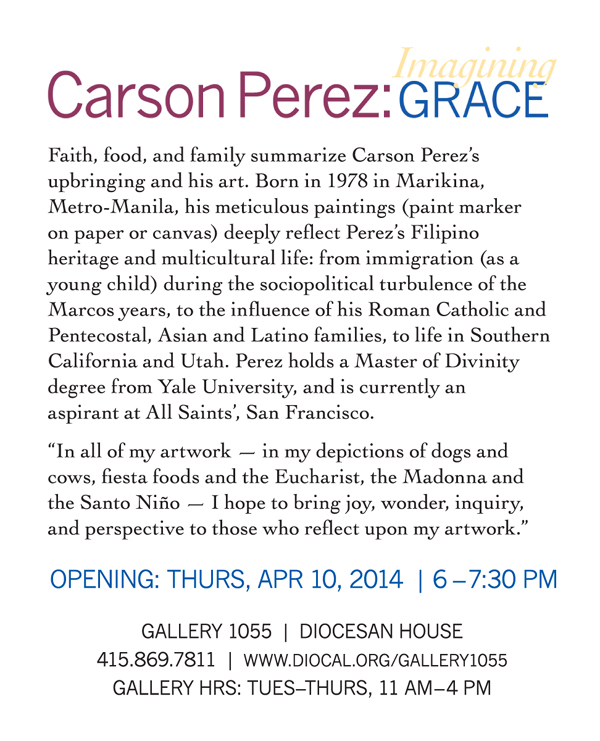 Gallery 1055 is located in Diocesan House, the administration building for the Episcopal Diocese of California. Located atop Nob Hill at 1055 Taylor Street, it stands adjacent to Grace Cathedral. In 2007, Bishop Andrus turned the walls of Diocesan House into an art gallery, naming it Gallery 1055 and declaring its mission to be a visual reminder of the diocese’s commitment to both contemplation and action. High-resolution images are available for review and publication. Ascension Parish in Cascavel, Brazil, in the Episcopal Anglican Diocese of Curitiba (the companion diocese of the Diocese of California), has a vibrant ministry of solidarity with the local indigenous tribe of Guarani and the families of the Landless Workers Movement (Movimento dos Trabalhadores Rurais Sem Terra — MST). 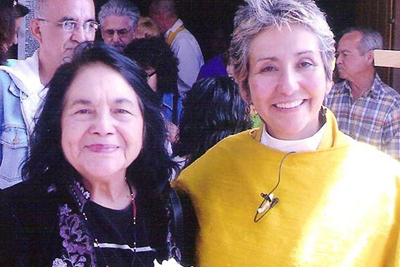 The connection is deeply rooted in liberation theology. Both the landless and the Guarani share common objectives: food sovereignty, protection of land and water, organic farming, restitution of lands, and the elimination of genetic engineering and pesticides. Paulo Porto Borges is a professor of history at the University of Western Paraná, Cascavel, Brazil, is an advocate for the rights of the indigenous and landless in the state of Paraná.